Pre-employment testing helps both small and large businesses establish and maintain a drug-free workplace. Although some businesses are subject to federal and state regulations, not all states regulate pre-employment drug testing. However, all businesses must follow regulations such as those in the Americans with Disabilities Act of 1990 that prohibit an employer from using pre-employment drug screening to test for alcohol use. In most other situations, pre-employment drug screens can test for a variety of other substances, depending on the needs of the employer. A standard five-panel screen is the most common type of pre-employment drug testing. For businesses that follow federal guidelines, a five-panel test meets requirements established by the Substance Abuse and Mental Health Services Administration, a division of the U.S. Department of Health and Human Services. A five-panel screen tests for common street drugs, usually by urine sampling. The five types include amphetamines such as meth, speed, crank and ecstasy that stimulate the central nervous system. It also tests for tetrahydrocannabinol, more commonly referred to as THC, the “active” ingredient in marijuana and hashish, The other three drug types tested for are cocaine, opiates such as heroin and morphine that are narcotic analgesics, and phencyclidine, a hallucinogen also known as PCP or angel dust. Some businesses use eight-panel or 10-panel drug screens to test potential employees not only for recreational drugs, but also for prescription drug use. Both tests include all of the drugs in a five-panel screen. An eight-panel screen also tests for barbiturates and Quaaludes, which are central nervous system depressants, commonly referred to as “downers” and tranquilizers such as Valium, Librium and Xanax. 10-panel testing also checks for methadone, which is commonly used to treat heroin addiction, and a pain medication called Darvon. According to the U.S. Department of Labor, private employers have great leeway when testing potential employees. In addition to the drugs included in panels, an employer who feels it’s necessary can expand testing to include hydrocodone prescription medications, hallucinogens such as LSD, paint, glue and hairspray inhalants, and anabolic steroids. How do I Get an EPA Certification in Jacksonville, Florida? 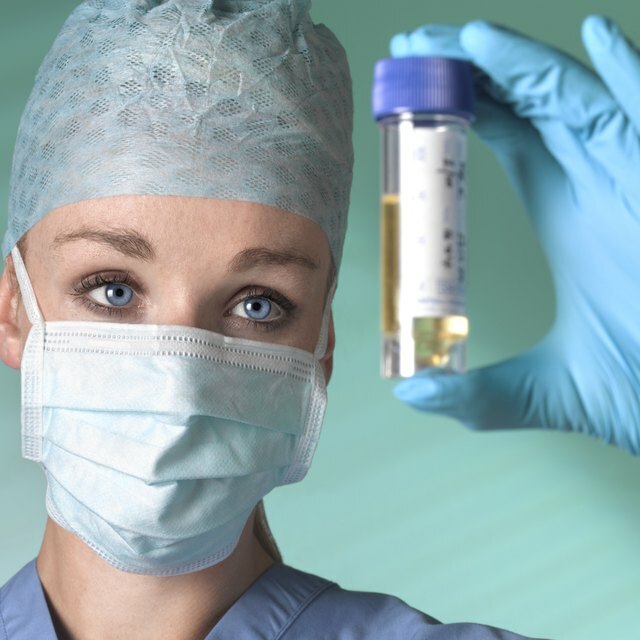 Pre-employment drug testing differs from drug testing during employment. Unlike with drug testing programs involving current employees, the only justification an employer needs to test a potential employee is the desire to maintain a drug-free workplace. Most often, the only exception is with union members. According to FindLaw, an employer cannot require a union member to take a pre-employment drug test unless the union contract allows it. For all others, even though an employer can never force a potential new hire to take a drug test, it can be a condition of employment.